Regular aircon servicing is important to keep your air conditioning unit’s efficiency at near maximum. However, there are instances in which you may need aircon servicing before your next scheduled maintenance. Your AC unit may break down even if you have it maintained regularly. Here are some key signs that you may need aircon servicing. That way you can call in the specialists to handle the problem before it gets too big. 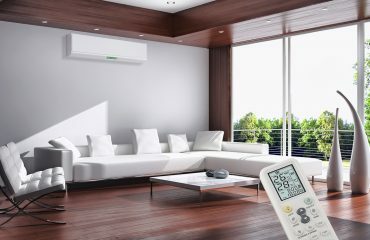 You should contact an air conditioner specialist as soon as you see something wrong with your unit. That way you can get it repaired before it stops working completely, or any damage gets worse. Below are five signs that your AC unit is not functioning properly. 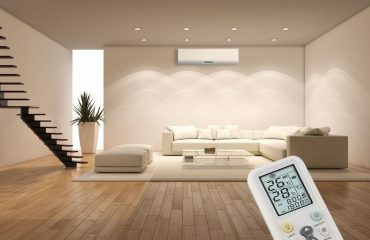 If the air coming from the vents is not as cold as it used to be, then it is a sign that you may need aircon servicing. Not blowing cold air even at maximum setting can be an indicator of a damaged compressor. No cool air can also indicate that the refrigerant level is too low. If air is not circulating throughout the house or premises, then you need to have it inspected. Several issues can cause this problem, such as clogged filters or a blocked ductwork. Dirt and dust can accumulate in the vent and obstruct the ductwork. A failing compressor can also cause a reduced airflow. Regular use of the unit can cause wear and tear that reduces the efficiency of the compressor. When your unit starts making unusual sounds, it requires aircon servicing. If you hear sounds of metal grinding on another metal, you should turn off the system right away and don’t use it to prevent further damage. In this case it is only a matter of time before the system may completely fail. A burning smell from the air conditioner may be a sign of burnt wire insulation. If it is a musty smell, then it could mean there’s mould growth within your ductwork. You should call a technician to check the problem and make the proper repairs as soon as possible. 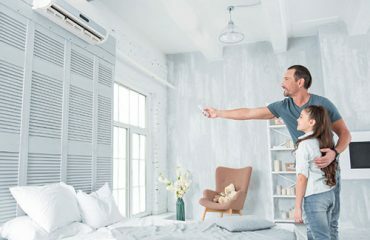 An increase in temperature of the AC unit may be a sign that the air conditioner has a dirty coil, damaged electrical components, broken motor fan, or a refrigerant leak. You should not try to repair the unit on your own. Instead, call in an expert to do it for you. If the refrigerant is leaking out of your air conditioner, you should take action right away. The refrigerant can be potentially dangerous to people and animals. If water is coming out of your unit, then you could have a clogged drain tube. While it is not as dangerous as that of a refrigerant leak, it can lead to larger problems if you ignore it. It is important to catch your air conditioning issues before they cause serious problems. For your aircon servicing needs, contact us today! We specialise in Ducted Systems, Split Systems and Mechanical Ventilation Installation Delivering exceptional air conditioning repair services that will prolong the life of your A/C unit. Is It Time to Replace Your Aircon?